Spanish Hostels List Local details of where the Hostels for backpackers are across Spain.This is the low budget way to travel. Alicante is a good start off for exploring the rest of the Costa Blanca in Spain. Here is a list of local hostels in this area. 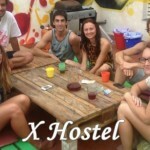 Budget Backpackers Barcelona Spain budget hostels 4U and accommodations at discount rates. Get your Barcelona youth hostel plus backpacker lodgings now. 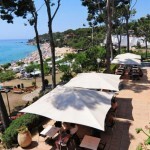 Hostels on the Costa Blanca for your next holiday in the Sun. Local backpacking places to stay. 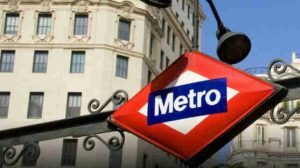 Find the perfect youth hostels In Madrid, Spain for your next vacation. Great deals on budget youth hostels to luxury packages. Browse through the Madrid, Spain youth hostels listings and book your vacation today! Sunny Malaga Spain budget hostels accommodations at discount rates. Get your youth hostel & backpacker lodging reservations now! This hillside property features free Wi-Fi and offers a range of outdoor activities. You can enjoy abseiling, hiking and caving in the countryside around Albergue de Serpis. Other popular activities include paintballing and archery. The Vía Verde cycling route, a converted railway line, is close to the property and you can hire bikes on site. Beniarrés Reservoir is 15 minutes’ drive away, and Carrascal de la Font Roja Nature Reserve is a 30-minute drive away. The dormitories at Albergue de Serpis feature individual lockers and bunk beds. Each one has a shared bathroom. The property’s restaurant serves traditional mountain-style food such as local stew, rice dishes and cured meats. There is also a bar with a terrace where you can enjoy a drink outside.